Last year, the Pennsylvania Legislature passed a new state law that requires used car dealers to disclose when one of their vehicles is subject to an open recall. Initially hailed as a victory for consumers across the state, a number of safety groups have since raised concerns that the law can actually be used against used car buyers, as it may incentivize dealers to sell defective or un-repaired vehicles to unsuspecting customers. 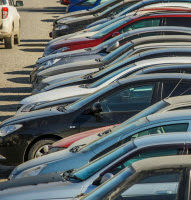 Fortunately, used car dealers who resort to these tactics to trick buyers into purchasing defective vehicles can still be held liable for their actions, so if you recently bought a car and discovered that it was defective, or were otherwise defrauded by the dealership, you should contact an experienced used car fraud attorney who can help you seek compensation for your financial losses. Under federal law, car dealerships are prohibited from selling new vehicles with unaddressed recalls. Unfortunately, this law does not extend to used cars, a fact which many dealerships have taken advantage of in order to sell defective vehicles to unsuspecting customers. The recently enacted Pennsylvania law intended to fill this gap in the legislation by requiring used car dealerships to disclose when a vehicle was subject to an open recall. However, while the new law, formerly known as House Bill 1898, will ostensibly helps protect consumers, many safety advocacy groups have expressed concern that gaps in the recent legislation could favor dealers instead. For instance, the formal disclosure requirement contained in the law could theoretically be satisfied by a vague statement in the fine print of a purchase contract, as there is no requirement in the language of the law itself that the form of any disclosures be clear and conspicuous. This in turn, could allow used car dealers to avoid liability for selling a vehicle that they knew to be dangerous by burying a disclosure in the fine print of a lengthy contract, which technically satisfies the law’s requirements. Further concerns have been raised about the penalty for violating the law, which at $1,000, many fear may not be burdensome enough to actually deter fraudulent conduct. Others have expressed unease with the ever lengthening backlog of vehicles needing to be repaired after the issuance of an open recall. Primarily, critics of the law remain apprehensive that used car buyers, even if they do notice the disclosure notifying them of a recall, will not be aware that in many cases, weeks or months could go by before a recalled vehicle is actually repaired. This would put consumers, and anyone else on the road, at risk of injury in the meantime if forced to drive a defective vehicle. The effects of the recently enacted legislation remain to be seen, but you if you have questions about how it could affect your own rights to compensation, please don’t hesitate to contact our legal team today. Please contact Louis S. Schwartz at CONSUMERLAWPA.com to discuss your legal options with an experienced used car fraud attorney who can explain your legal rights under Pennsylvania’s new disclosure law.